Cremation Facts and Myths. 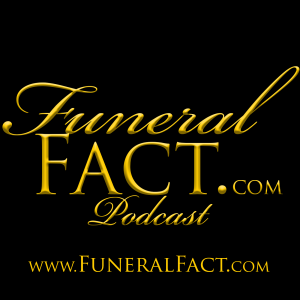 In this episode of the Funeral Fact Podcast, host Jeff Kasper interviews Garry Moore (FDR-965) the owner of Moore's Mission Funeral Home (FD-873) in Concord, California, USA. Mr. Moore discusses the different cremation facts and misconceptions, and the options available. Mr. Moore uses his 43+ years of experience to guide families along this difficult path. Please subscribe and rate this podcast in either the Google Play Music or iTunes store. Don't forget to visit our website at http://www.FuneralFact.com where you will be able to submit questions, suggest possible topics for future episodes and much more.